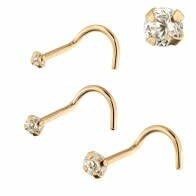 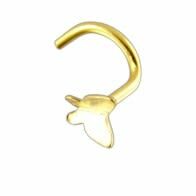 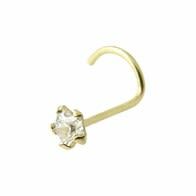 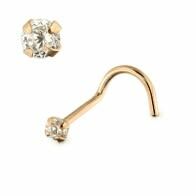 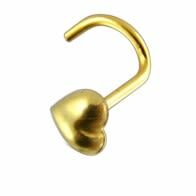 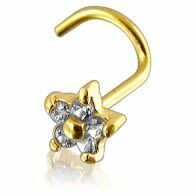 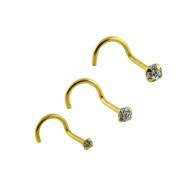 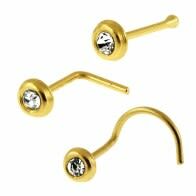 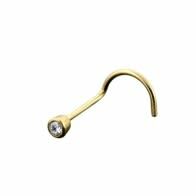 If you are searching for trendy gold body jewelry, then, we offer a beautiful collection of gold nose pins. 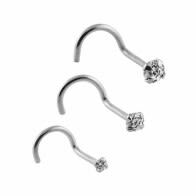 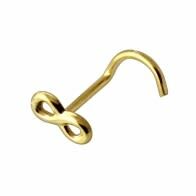 Our 9k screw nose pins has long and straight stem so that you can easily operate and twist the curve at the other end and ensure a perfect fit. 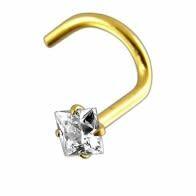 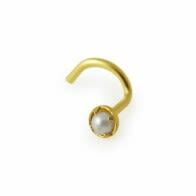 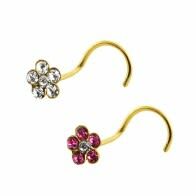 Our nose screw pins are made from solid 9K gold and embedded with elegant and precious gems. 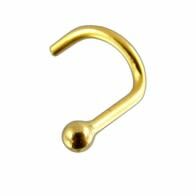 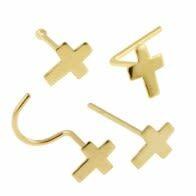 Also, 9k gold nose pins are available in different shapes and designs.